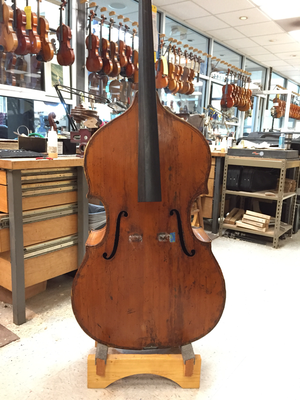 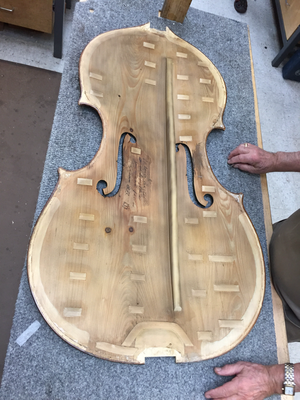 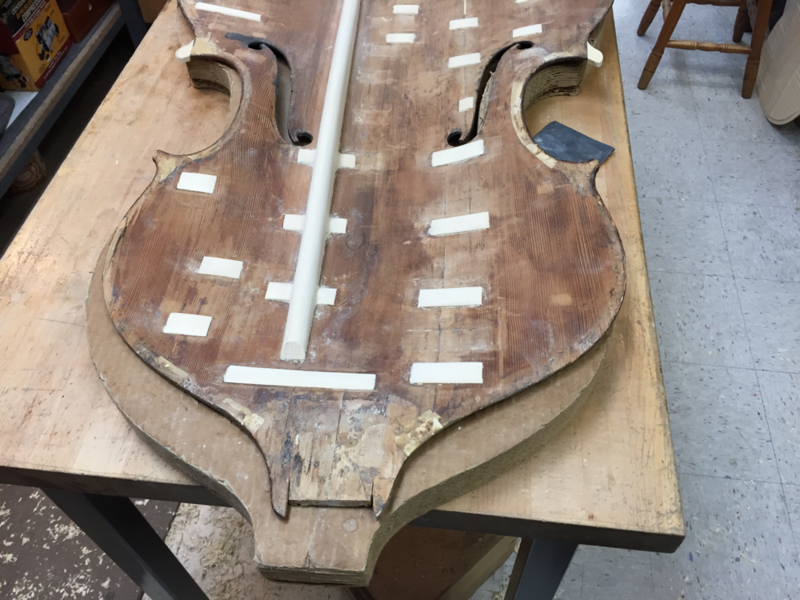 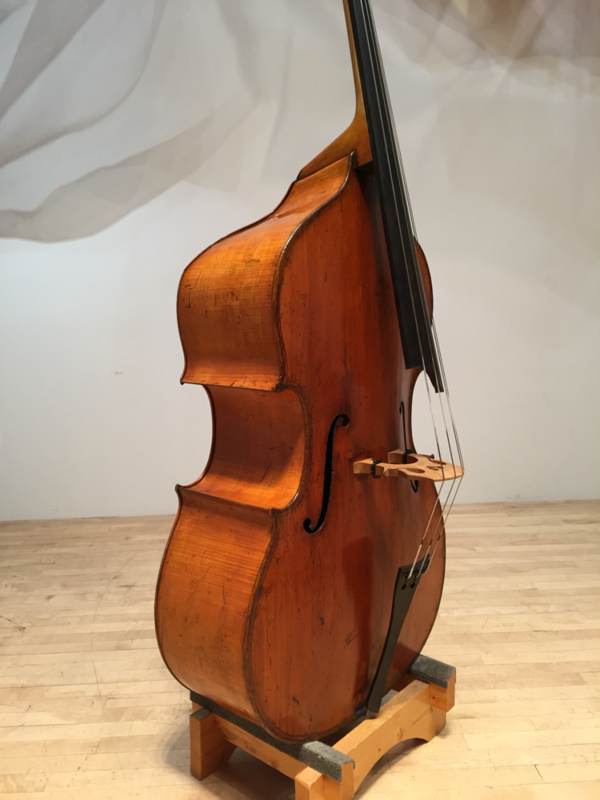 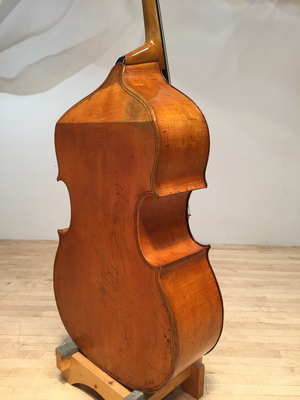 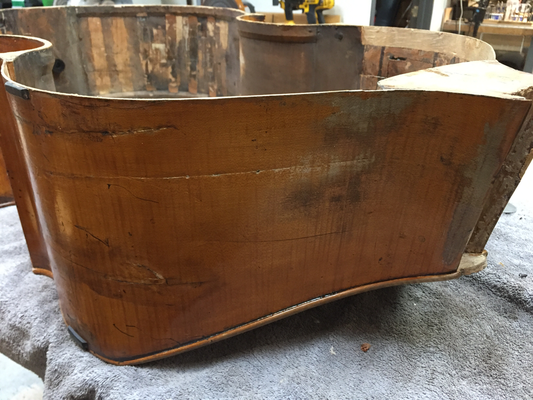 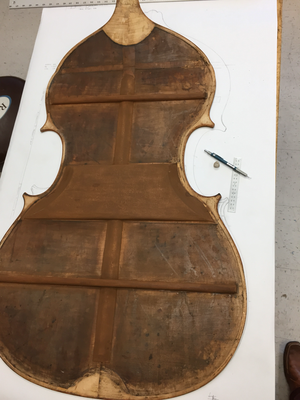 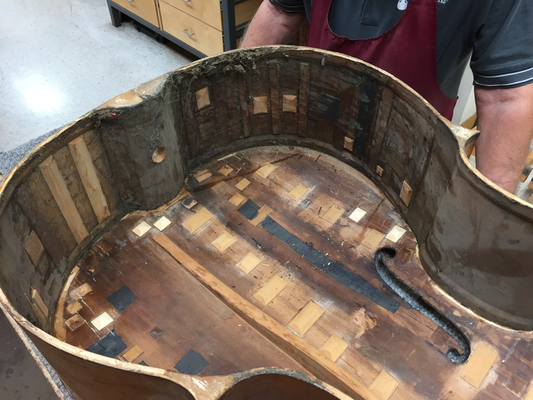 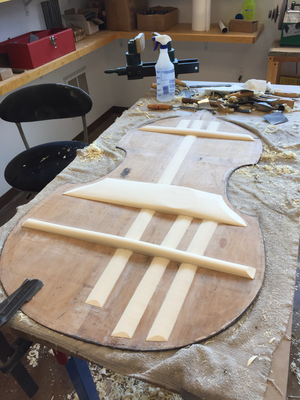 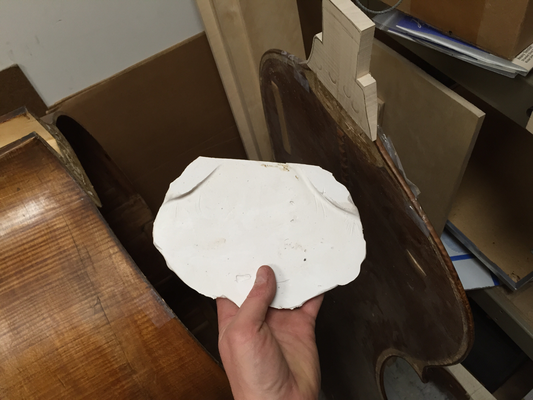 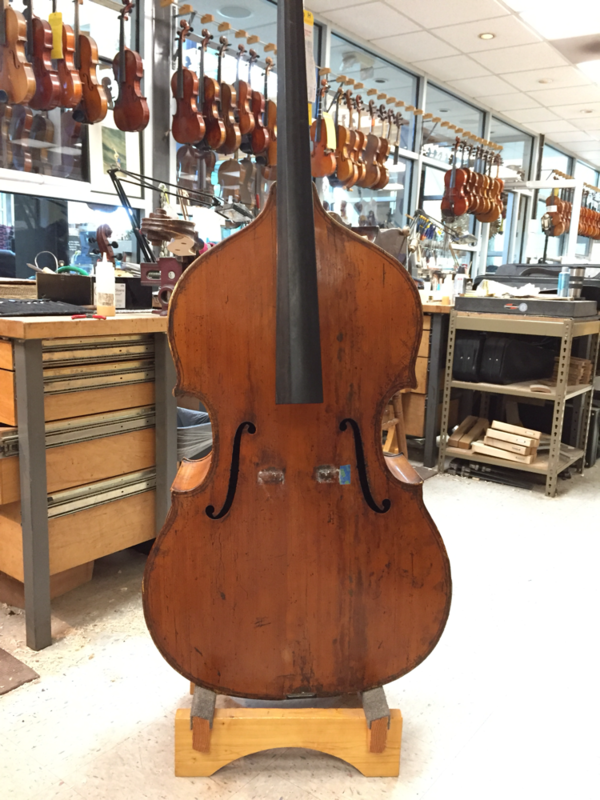 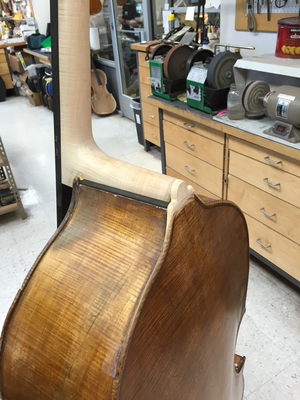 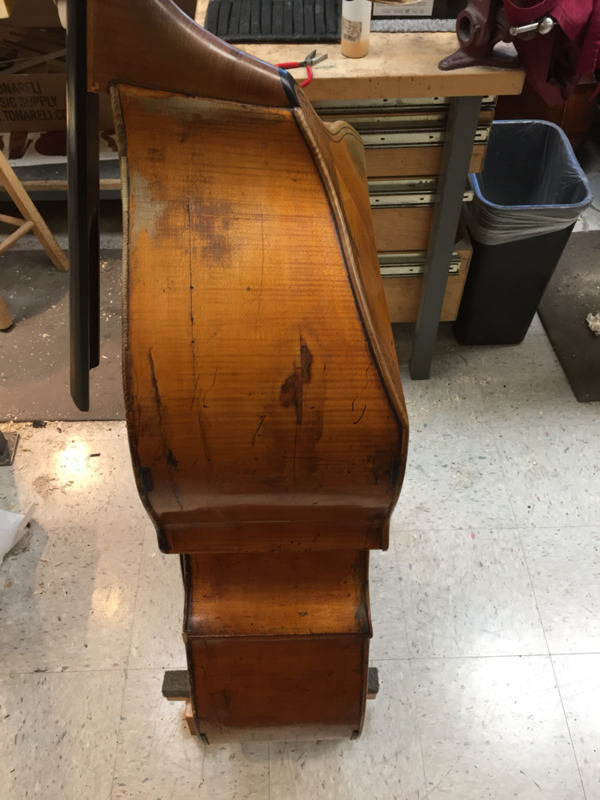 The preservation and restoration of fine old double basses requires patience and innovation as no two repairs are identical, and a vast repertoire of techniques is necessary to navigate each demand. 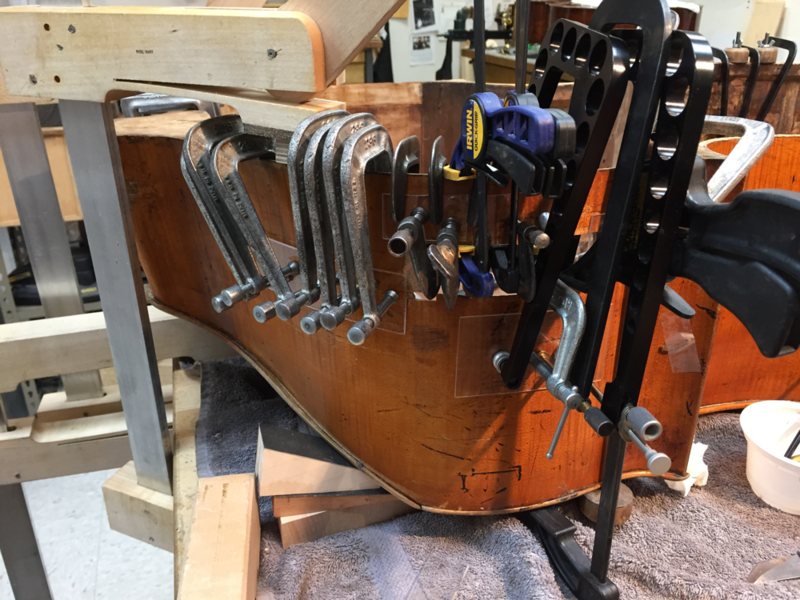 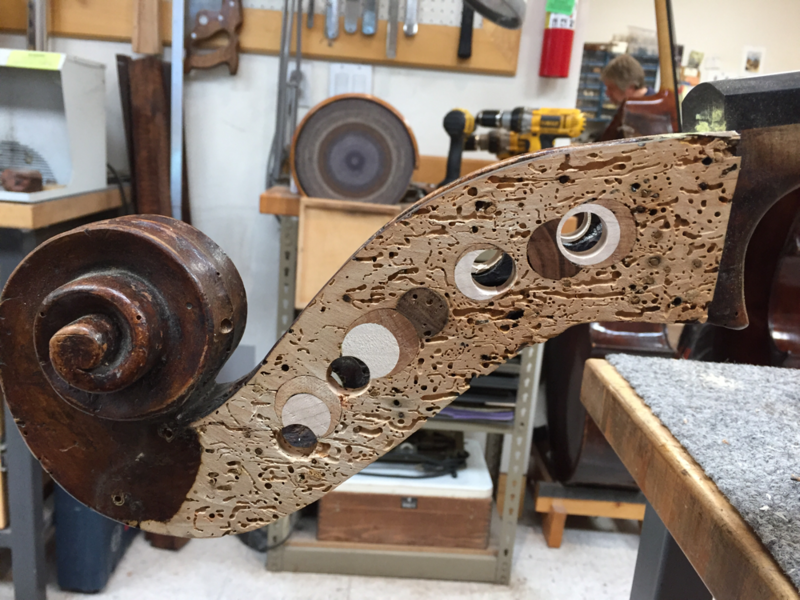 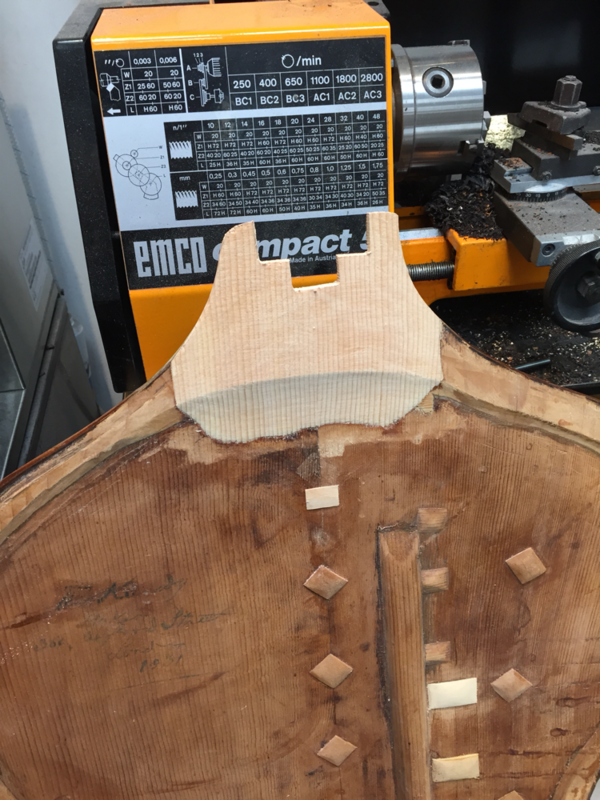 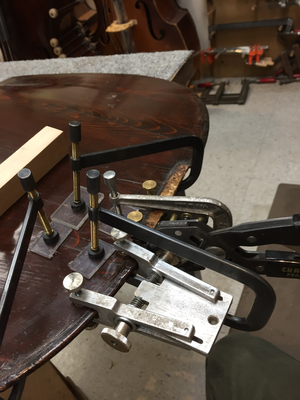 Having worked in string shops on both coasts at Kolstein and Son, Lemur Music, LA BassWorks and Robertson and Sons Violins on top of training at Violin Making School of America and participating in the Oberlin Violin Makers Workshop provides a rare full spectrum of insight into the setup, adjustment, construction, repair and concept of the entire string family. 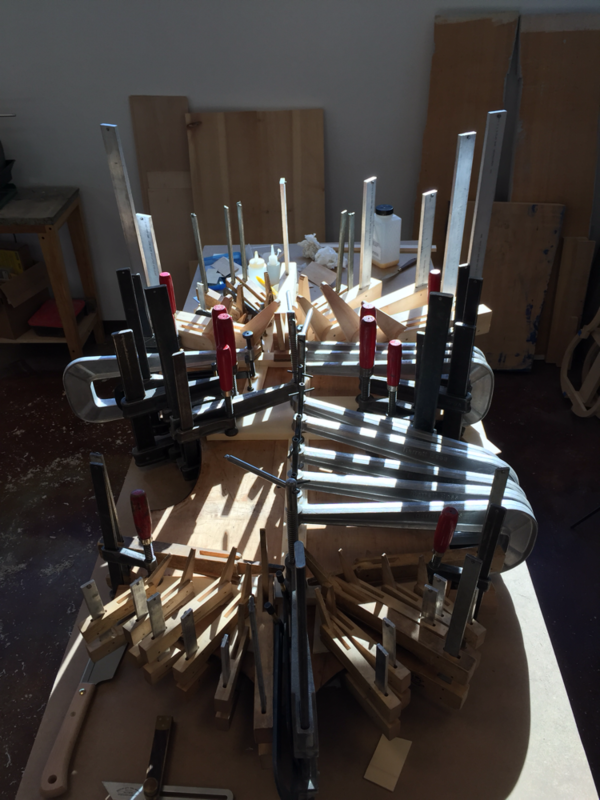 Not open to the public, projects are vetted on merit so complete focus and attention can be paid to exceed the most demanding of expectations. Work must be tended around the construction deadlines of the list, limiting space, spots fill up and book out almost as soon as they are available, your patience and flexibility will be rewarded by expertise. 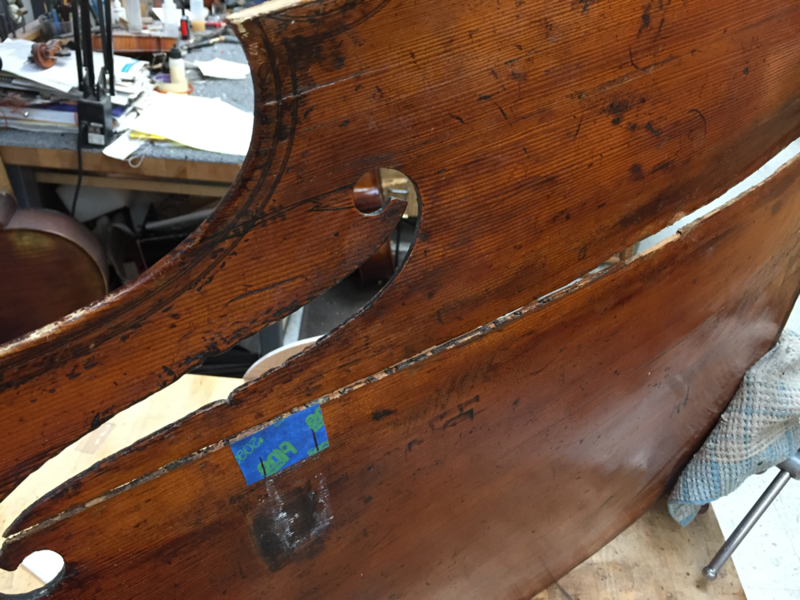 Emergency repairs take serious consideration and must be billed accordingly if they can be accommodated. 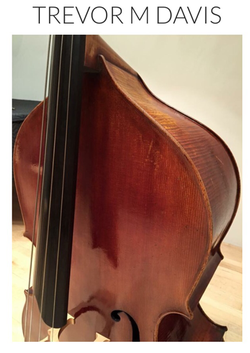 Please inquire by email and allow 3-5 days as travel to remote locations gathering wood, studying instruments, adjusting basses for orchestras...et cetera is ever more frequent.